Mars Frontier began in a Stanford dorm room as a “GSB 390 Individual Research Project” to create a fact-based educational game about interplanetary colonization. A video trailer and concept images were created to evaluate the commercial potential for the project. ABOVE: Original trailer used to concept test Mars Frontier as an educational game, created for $50 using video actors from fiverr.com. ABOVE: Early concept art for Mars Rover scouting for resources. The market for science-based title suggested low adoption, so the title was changed into a science fiction war game. The original 3D models commissioned for the educational game were weaponized for the new title, and a story about how the new settlers of Mars used the “ancient” NASA designs for machines created to harvest resources on Mars. Early rendering of “Blaster Droid” robot as a rover from NASA, later equipped with machine guns. As the notoriety of Mars rose in 2012 with the arrival of NASA’s Curiosity rover on the red planet, a storyline arose in Mars Frontier about the replication of Curiosity design into a deadly war machine three hundred years in the future. 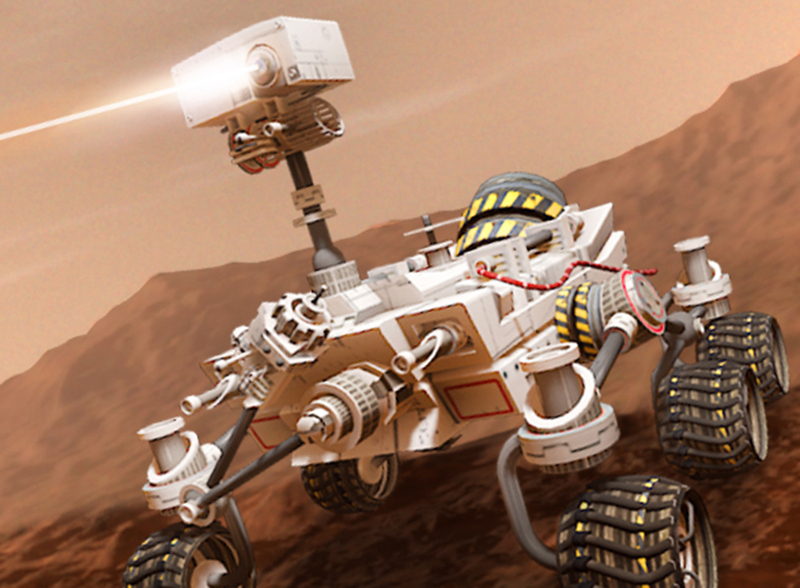 ABOVE: 3D rendering of the nuclear-powered Curiosity rover based on 2012 NASA Mars mission. In parallel with the development of story and art, a new game engine was built from scratch built on experimental new “HTML5” technology (whose standards would not be finalized for another two years). 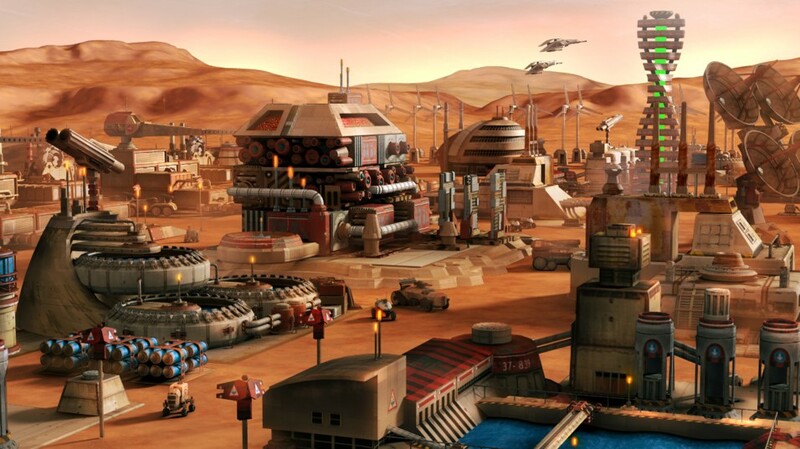 ABOVE: Early view of the Mars Frontier game engine, with roughed in buildings made from amateur concept sketches. 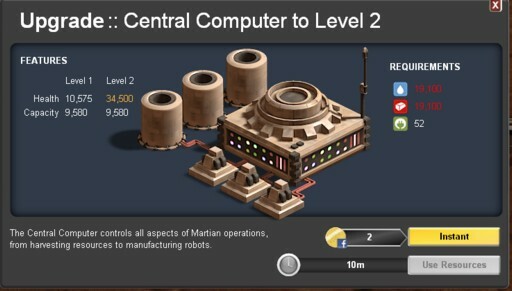 ABOVE: Central Computer as designed in the original alpha release of Mars Frontier. 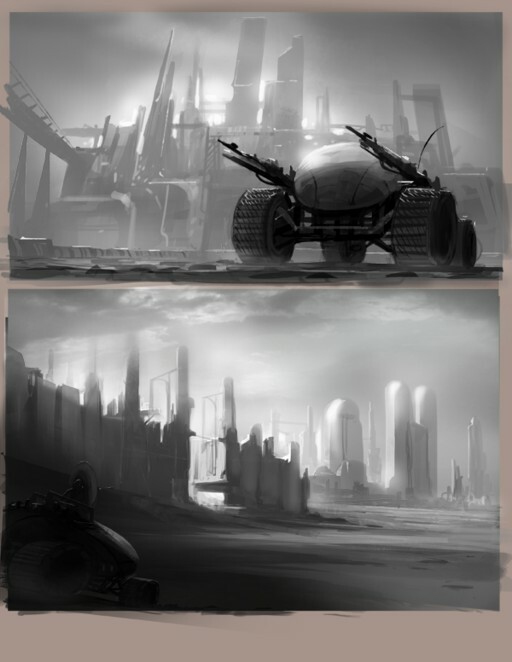 After several generations of building refinements the structures began to define the game world, and set the context for the storylines and characters to be developed. ABOVE: Rendering of refined 3D buildings, centered about the new Central Computer design. To align with the retrofitted NASA rovers, a new class of weaponized “Transport” vehicles was created to parallel the storyline around rovers being militarized versions of civilian vehicles. 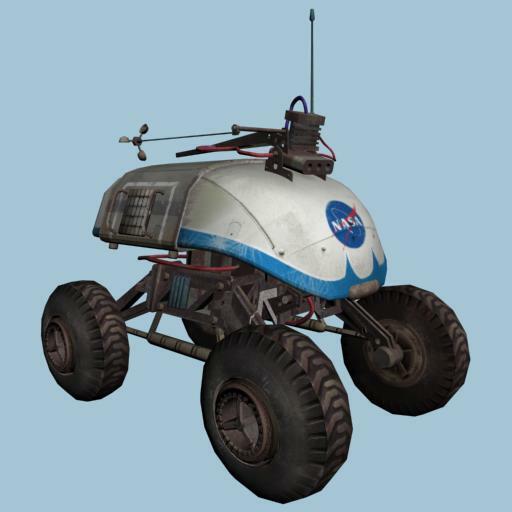 In the first release of the game neither rovers nor transports could resurrect after being destroyed, and the feature was added later after extensive testing and game balancing. 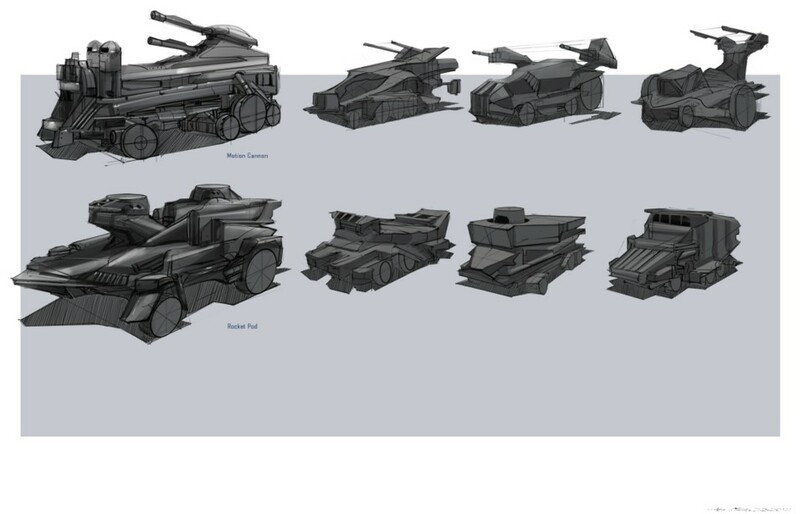 ABOVE: Concept sketches for transports, armored civilian vehicles to parallel rovers. ABOVE: Renderings of near final 3D models for transports after several conception iterations. 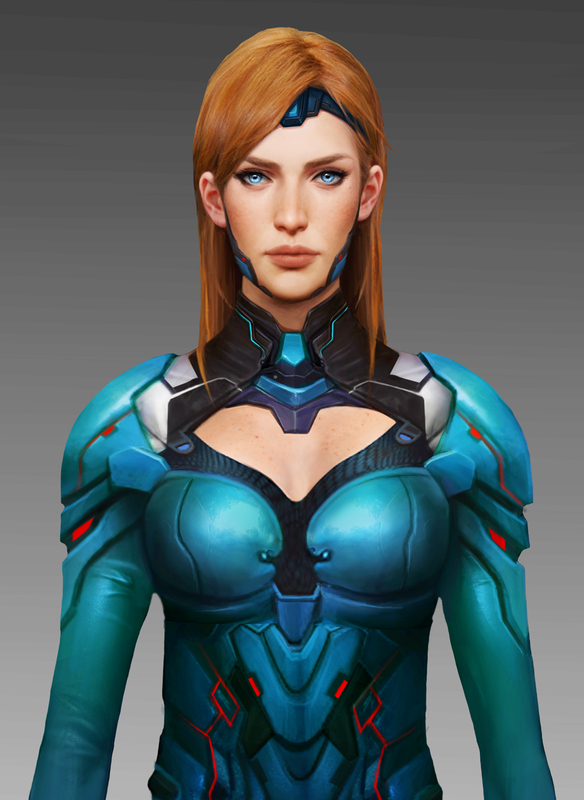 Our first character in Mars Frontier was the in-game narrator Valentina, named after Russian cosmonaut Valentina Tereshkova, who became the first woman in space in 1969. Originally a sarcastic, dry-witted side-kick, the character evolved over time into a more edgy, unemotional space companion, bordering on robotic. 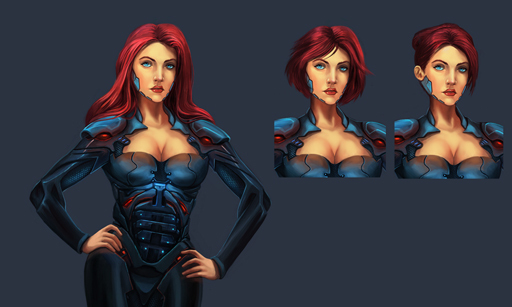 ABOVE: Original design sketches of Valentina, our in-game narrator in 2012. ABOVE: Updated Valentina character in 2014. WAR STAR EMPIRE is set in the distant future where the sentient robots created by humans evolved exponentially into a series of all-powerful “Machine Lords” who dominate the galaxy and hunt human kind to the brink of extinction. In a cataclysmic battle, the humans destroy the Machine Lords motherships disabling their forces, but at the cost of losing nearly the entirety of the human forces. Survivors escape to the nearby world of Minoa, the birthplace of the Machine Lords, and the center of their incredible power. They fight for survival on the historic planet, which in ancient times had another name: “Mars”. BATTLEFRONT MARS begins immediately after the original Mars Frontier story line, and before WAR STAR EMPIRE. It is set during a period of hyper colonization of Mars, where discovery of vast water reserves and terraforming technology brings a massive inflow of migrants from the dying world of Earth.